Aludri is a sanctuary, a safe haven, a peaceful place to raise a family. The pack is more of a family than a group of wolves thrown together haphazardly within one territory. Their members work together to keep their home safe and they help each other while avoiding aggression whenever possible. The Athair, or alpha male, can be strict at times, but only to protect his family and keep their home a safe and peaceful place. Aludri accepts wolves and canines of all shapes and sizes, and with a variety of ranks and disciplines, there is a place for everyone here. Overall, Aludri views each and every member of their pack as family, regardless of their rank, ability, gender, or past. 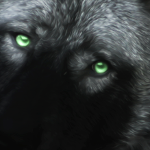 Aludri wolves look out for one another and value friendship, community, trust, loyalty, and cooperation above all else. Airila was the oldest surviving pack on Anikira, founded by Keyara and Toiro in the fall of 2010. The pair lived happily alone together for several months, until a terrible blizzard swept over the lands and the wolves were separated. Keyara was never seen again but Toiro managed to find shelter in the caverns of Lerelm, where he was joined by Kastiel, another wolf who was lost in the storm. 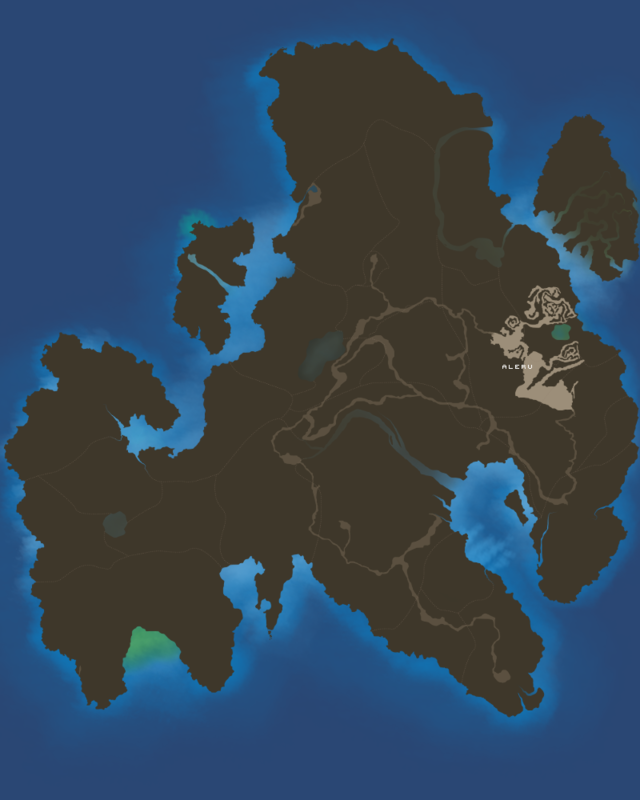 They decided that Lerelm would make a good den site for the pack, after they had explored the caves and found fresh water in the deepest of them. Toiro appointed Kastiel as his beta and the two ran Airila together until Kastiel departed to search for his lost sister, to be replaced by a new beta, Huxleyi. Time passed and Airila saw the rise fall of many packs. They, however, grew and prospered, and now that their numbers have once again stabilized Toiro and his packmates are in the process of making Airila the best pack it can be. However, the time came when Toiro fell ill, so much so that he remained hidden away within a cave deep inside of the Shyia. Only his family visited him, and eventually Arche, his son, rose to the task of leading the pack in his stead. Time passed and although Airila had fallen apart and grown distant from their past success, Arche pulled them from the ashes and began to build their family back up one member at a time. He even fell in love. Or at least he thought he had. Harlot was beautiful, friendly, and everything he had imagined. They fell in love at first sight, though Arche was far too young and naive to see where it was all leading. Eventually Harlot became pregnant, but she soon began spending far too much time away from Airila. Finally, when she gave birth, she neglected to properly take care of her offspring and one of their daughters, Abaddon, taken from them by the waves of the ocean on the beach. Arche was furious and banished Harlot from Airila, and she no doubt left the north to find her lover in the south. Although she was not seen again by the pack leader, he knew things had to change. Eventually, Toiro disappeared completely, without a word to his son or his family. Although distraught at his father's disappearance and the devastating blow to his own family, Arche led the pack carefully into a new era. He renamed the pack Aludri, after his mother, in order to honor the past, but look towards the future. Athair: "father" - Leader, alpha, highest ranking. This wolf is the highest ranking member of the pack. He is like a father-figure to the pack and is always available to each and every member for any reason. He is also the one that has the final say in everything, including whether or not a couple is allowed to breed in a specific season. 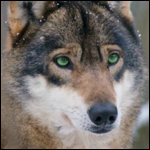 It is his duty to keep Aludri safe and protected, and he is the one that allocates positions and ranks throughout the pack. Dathúil: "good looking" - this is the Athair's mate. Not necessarily the highest ranking female, though it is likely that she is also part of the Comhar. 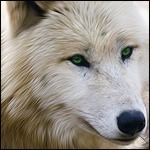 She is the mother of the Athair's offspring and the matriarch of the pack. It is often her duty to see to the care of the pregnant wolves and mothers of the pack with young offspring if she has none of her own at the time. Dúchas: "heir/birthright" - This is the next leader of the pack, chosen specifically from the Athair's offspring to lead the pack once he steps down. This may be male or female and must be earned by one of his children. Treoir: "guide" - this is the second highest rank in the pack, or beta. 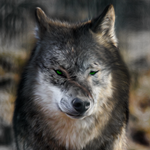 This wolf is the Athair's most trusted ally and will run the pack in his stead if he should be absent for any reason. Comhar: "partnership" - this is a group of wolves (that often also hold other ranks) that are the Athair's advisors. 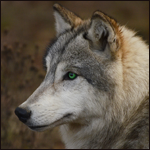 They are trusted by the Athair and the Treoir and when necessary, are allowed to accept new wolves into Aludri if both Athair and Treoir are unable to. Fadó: "what came before" - These are the male elders of the pack. They are looked to for counsel when necessary and are cared for by the entire pack. Fios: "knowledge" - These are the female elders of the pack. They hold the exact same rank as the male elders, and are often solicited for advise on raising pups and caring for the future of the pack as well. Taisce: "treasure" - This rank is for pups and pregnant or nursing mothers. These are the future of the pack and are cared for by the entire pack. Chothú: "sustain" - This is the head healer of the pack. They are highly trusted by the pack leadership and are capable of accepting new Seólta into the pack. Seólta: "ingenious, crafy, knowing, resourceful" - The healers of the pack. These are the shamans that protect the sick and injured and help them recover. They also assist in the birthing of new litters and the care of the Fadó and Fios. Selgair: "hunter" - These are the head hunters of the pack as well as the mentors to the future Fyoles. 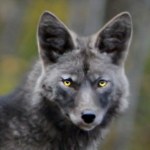 They are the most experienced, fast, and organized members of the pack's hunters. Fyole: "meat" - This rank makes up the bulk of the pack's hunters. They are fast and cooperative and provide the pack with the majority of their food. Saio: "learned person" - These are the pack's apprentices. Young wolves between the age of 6 months and 1 year will fall into this rank and begin to train for their chosen position within the pack. 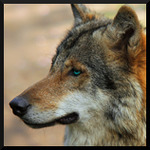 Osraige: "people of the deer" - These wolves are fast and agile and have an incredible amount of endurance. They are the trusted scouts and diplomats of Aludri. 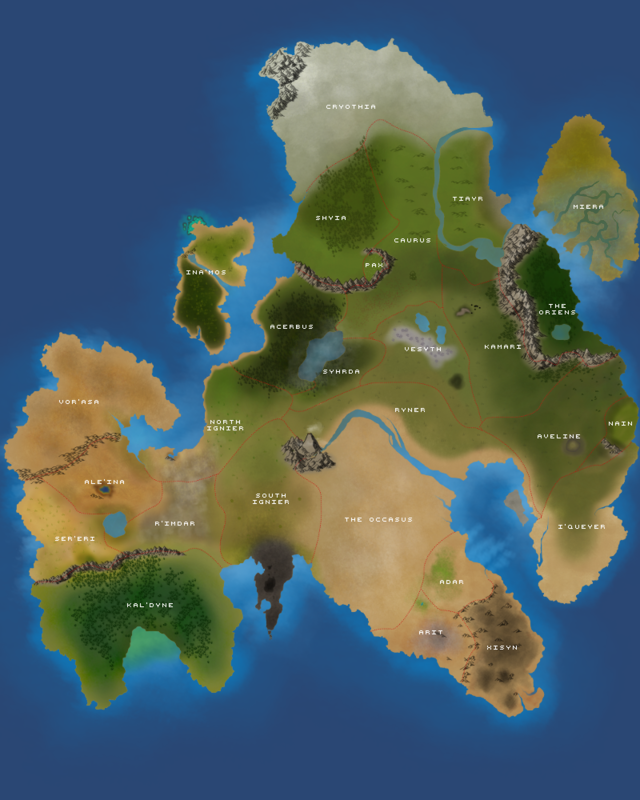 When the first circle needs to communicate outside of Aludri's borders, they often turn to the Osraige to deliver their messages safely and quickly. These wolves report directly to the Athair and Treoir. Trodaire: "fighter" - This is the leader of the Onóir and Kyol. They are the most trusted and skilled warrior in the 4th circle and report directly to the Athair and Treoir. Onóir: "honor" - These wolves do the majority of the pack's patrolling. 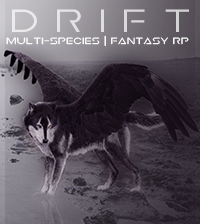 They are fast and agile, and are the first line of defense for the rest of the pack. Kyol: "vigor" - These are the main muscle of the pack. They are the largest warriors and are assigned to a specific territory to patrol. Occasionally they will serve as escorts for other wolves outside of pack territories as well. 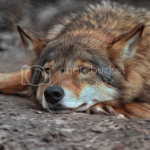 Cinnte: "unsure" - This rank is reserved for wolves that have not yet decided on their rank within the pack. Unlike other ranks within the pack, this rank is not earned. It is given to those with no purpose, not path. It is recommended that those within this rank find a position within the pack as soon as possible. Iseal: "low" - This rank is reserved for those that have not followed pack law or have broken the trust of the pack. This is considered the lowest rank and wolves in this position must show respect to all other wolves within the pack without question. It is possible to move out of this rank, but it requires building trust with the 1st circle and is very difficult after a wolf is placed here. This plot will require at least one character. A new wolf approaches Aludri. 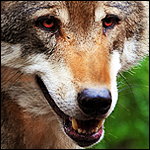 This wolf is charismatic and friendly, draws others to them and it seems like everyone wants to be around them. This wolf will be very religious in their own right, following either a god or an ideal no matter what. They will begin to develop a cult upon joining the ranks of Aludri. This may be peaceful at first, and potentially sprout into a sub-plot with a more radical version of this cult in the future. One by one they will try to convert pack members to their "cause".